I won’t lie to you buying a house is an expensive thing to do, there are fees to get a loan, there are closing costs, there is the time and money you spend when you are looking at houses. It sometimes seems that every single phone call is someone wanting some more money from you. It can be easy to discount the costs that are not required to get a loan, the home inspection usually falls into this section but forgoing it can be a mistake. Your best protection against buying a home that is substandard in any way is to have it inspected by a qualified home inspector. It can be difficult as you have probably falled in love with the house and are imagining how your children will look playing in the garden. You don’t want to think that there could possibly be anything wrong with your future home, but isn’t it better to know sooner rather than later that the roof will need replacing in a year or two. 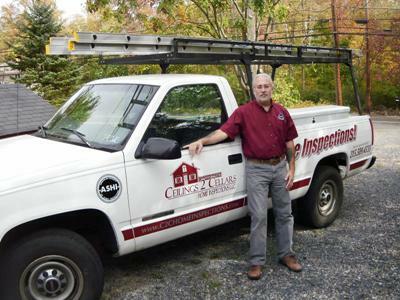 Welcome to the Blog world of Ceilings 2 Cellars Home Inspections. A home is a place of residence or refuge comfort. It is usually a place in which an individual or a family can rest and be able to store personal property. Most modern-day households contain sanitary facilities and a means of preparing food. “Home – Definitions from Dictionary.com”. Retrieved 2008-05-08.